Is My Garmin Going Crazy, or Am I? This fall I had the honor of speaking at a convention in Yakima, WA. I had never been to the Pacific Northwest, and was very much looking forward to the opportunity to explore the beautiful region of the US after my speaking date. 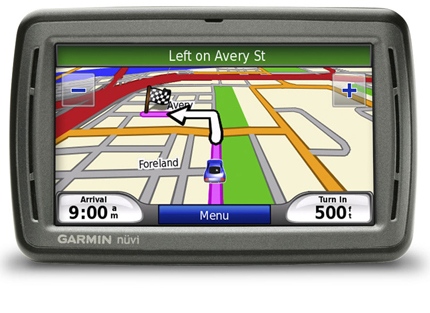 Wherever my travels may take me, I always have my trusty Garmin GPS as a loyal companion. The GPS is one of the greatest aids to anyone who really doesnt like to waste time being lost. The amount of time that is saved by this little device is usually quite profound and I would certainly feel naked without it. That isuntil this trip. When I landed in Seattle the afternoon prior to my speaking date and found my rental car, I proceeded to program my trusty GPS to guide me over the mountains and through the woods for the 2.5 hour road trip to Yakima. About an hour into the trip, I began asking myself why I was driving on some side road with the Interstate nowhere in sight. I was unfamiliar with the geography, I simply passed this oddity off as a shortcut suggested by an all knowing GPS. Another hour had passed into my supposedly 2.5 hour voyage, and the sun was a distant memory across the Western horizon. I was navigating the slow zig zag of mountain passes before me but my arrival time kept getting pushed back. By all accounts, it would take me 4.5 hours to get to my destination! I finally had it and was ready to either figure out what is wrong with this darn thing, or was ready to throw it into a gorge. While sitting safely in the parking lot of a small gas station I opened the settings panel on the Garmin, there was a very significant setting that was checked. It read Avoid major highways and/or Interstates. I then recalled the last time that my fiance, Shelly, and I used the device. We were enjoying a leisurely drive in the countryside. When we take these Sunday jaunts, we often avoid the Interstate as a way to explore the culture, shops, and people that are merely a blip in your peripheral vision while whizzing by at 70 mph on the Interstate. We programmed that filter on the device to help us enjoy the day. Once I removed the filter that I had placed on the device, I was quickly directed to my destination. There are a few crucial lessons that I discovered while swearing at my windshield during this journey through the Cascade Mountain Range. Sometimes we place filters on our lives that may serve us for a time, but not all of the time. The GPS was simply guiding me the way that I had programmed it to. Our belief systems in life tend to be the filters of our own GPS system for success. They will guide us through the myriad of choices and opportunities that present themselves to us each day. Whether it is a belief about money, success, physical fitness, relationships, or a spiritual journey; we are allowing our unconscious guidance system to make crucial life choices for us. Realize that sometimes you have to pull over in life to see where you are at and where youre going. Just as I could have continued on my journey and eventually arrived at my destination (hopefully), pulling off to check the settings on my GPS proved to be a crucial decision which allowed me to get to my destination hours earlier. 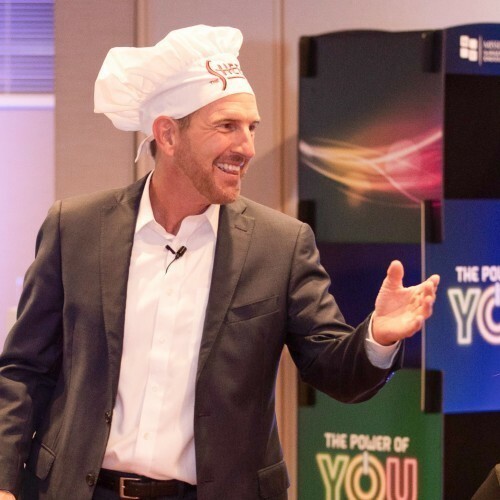 Perhaps your pulling over time could be meeting with mentors or mastermind partners to discuss your goals and progress, it could be a marriage retreat, attending a weekend long personal development seminar, or just renting a cabin in the woods and shutting off the life noise that occurs each day. Whatever method you prefer (or a combination of methods) dont wait to get lost to pull over! Schedule this time to take inventory and you will enjoy your journey much more. Slow down and enjoy the journey. When Im heading to a speaking date, I like to get there as quickly as possible. After the date, I usually will enjoy a bit of exploring time to take in the nature and beauty of whatever area I am in. A common trait among high achievers is that we are constantly on the move. I hate to use a clich like stop and smell the roses but you may find refuge from the clutter of a crazy busy schedule by scheduling down time. I have enjoyed photography since taking a class in college. One of the greatest joys that I have is taking a break from my adrenaline junkie like pace and getting behind the camera to shoot some photos. Above all, just be conscious of the journey that you are on and realize that no one has ever arrived at the end of their lives wishing that they had attended another meeting or conference call, taken fewer risks when the opportunity arose, or declined an opportunity to just reflect and be grateful. Check your filters and make sure that they are in line with your journey!